Tanner Ott and his father John have made a career rehabbing historic buildings. They do it for love and for money, and they believe both can be found now in Ely. The Otts, who've summered here for more than 25 years, have placed a big bet on downtown. 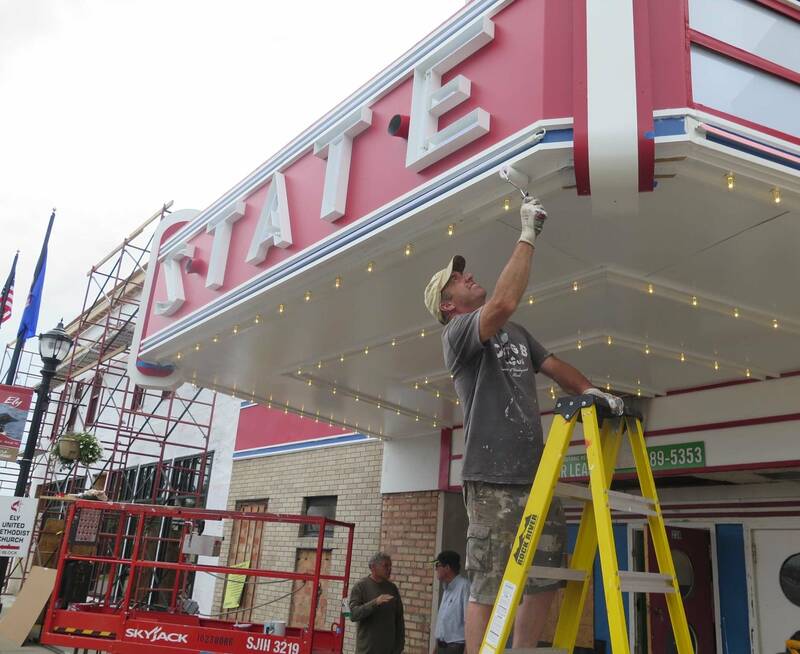 Their family's Missouri-based firm now owns eight long-vacant buildings, including the historic State Theater, which they began renovating in 2014. The marquee came alive Saturday for the first time in 20 years. They hope to make the 300-seat venue a space for movies, live music, business conferences, weddings, and other events. By the time they're done, the overhaul may cost $1.5 million — serious money in a town that not long ago appeared to be on the skids. But the Otts are sold on Ely. It's "really a special place, a magical place," said John Ott. "For us to play a small part in everything that goes on here gives us a lot of satisfaction." 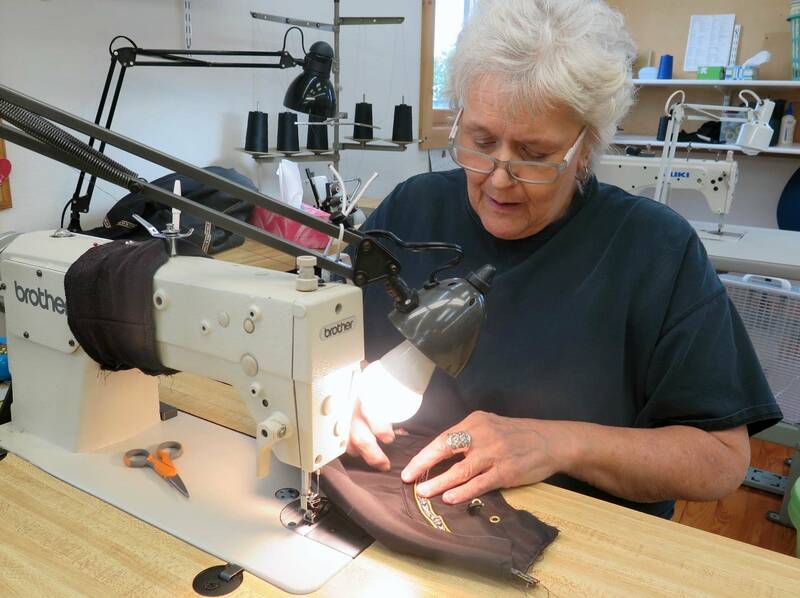 The Otts' investment, coupled with several new business startups and expansions, has made many locals bullish on Ely. A town that once lived and died on mining's boom-and-bust cycles appears to be on the upswing. Downtown outfitters, coffee shops and restaurants are bustling with summer tourists here for the beauty and the Boundary Waters Canoe Area Wilderness. Local leaders say the new investment will help the city build an economic core that's more than tourism, although not everyone buys it. 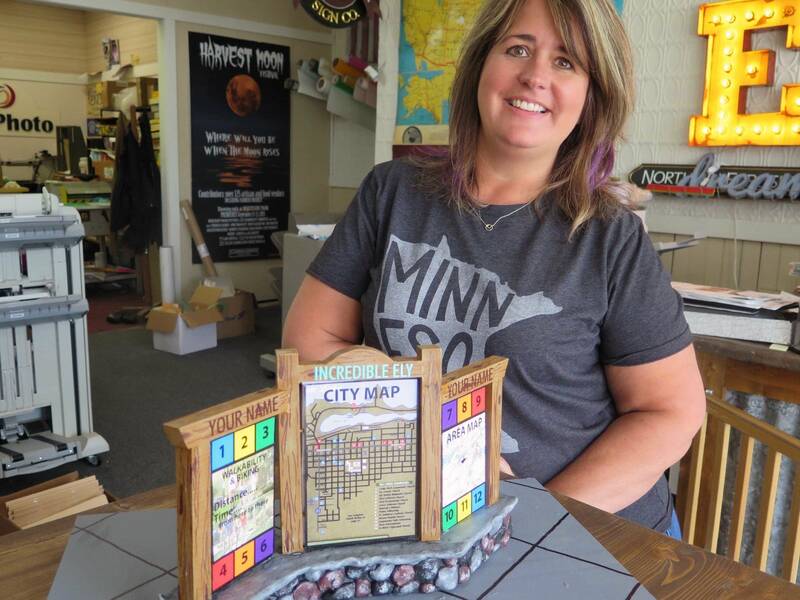 Some believe Ely needs to dig deeper into its mining roots and embrace plans for the Twin Metals Minnesota copper-nickel mine, a project supporters say will boost the economy and detractors say could wreck the environment and the tourism that sustains Ely now. That debate continues, although at this point many in Ely seem focused on life beyond mining. 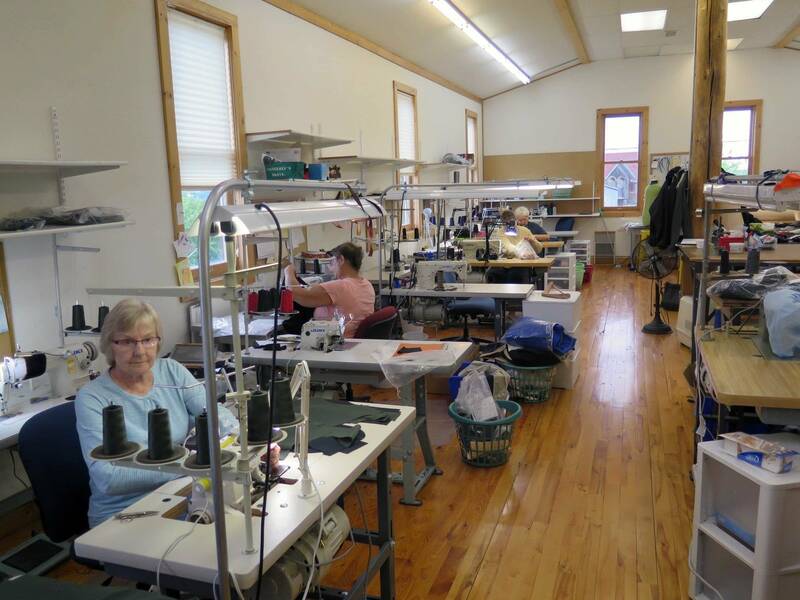 "Ely is on a roll," said Paul Schurke, who along with his wife Sue owns Wintergreen Northern Wear in downtown Ely. "There's so much rehab and redevelopment going on that it's become a standing joke that the dumpster is taking up parking spots in the street and will soon have to become art projects of some kind." "It's definitely a renaissance," added Kara Polyner, an Ely City Council member and local business person who's also a board member for Incredible Ely, a group working to revitalize the downtown and attract more visitors. "I think we're on this precipice, where we could really take off again." Ely has the potential to add more small manufacturing that can capitalize on the town's outdoors image, added Polyner, who's designing information kiosks that will be placed around Ely and also exploring new ways to bring visitors to town, including a zip line across Miners Lake. "If you make something here with some utility, that has a connection to the North Woods, it walks off the shelf." Despite the recent buzz, though, Heidi Omerza, Polyner's colleague on the council paints a less optimistic vision of Ely. "We are fighting tooth and nail to keep Ely growing and fighting to keep it alive," said Omerza, who heads up the city's economic development authority and is also a member of Incredible Ely, along with city attorney Kelly Klun. Local business owners are expanding, but the city is seeing fewer new entrepreneurs, Klun added. "We're seeing investment from the locals. But the economy — you know we're based off tourism and we're based off service at this point. To take it to the next level we need to expand our industries." Many people believe the Twin Metals Minnesota operation, which would be built about 10 miles from town, could take Ely to that next level. But others say the potential for severe pollution is not compatible with the wilderness-based economy Ely is building. That divide also exists on Incredible Ely's Board. Klun said they decided early on not to even talk about mining. "It's kind of like, don't talk politics, religion, or mining," said Polyner. "You just don't mention any of that to anybody, because you never know where it will end up." Brian Strom has that same mindset. The founder of the granola company Crapola! recently moved into his new production space in one of downtown's newly restored buildings. The space originally housed the Ely Cigar Company. "We can double production as soon as we turn the lights on and go for it right off the bat," he said of the new space. "We're going to keep on growing and growing and someday hopefully be a national brand and outgrow this space." 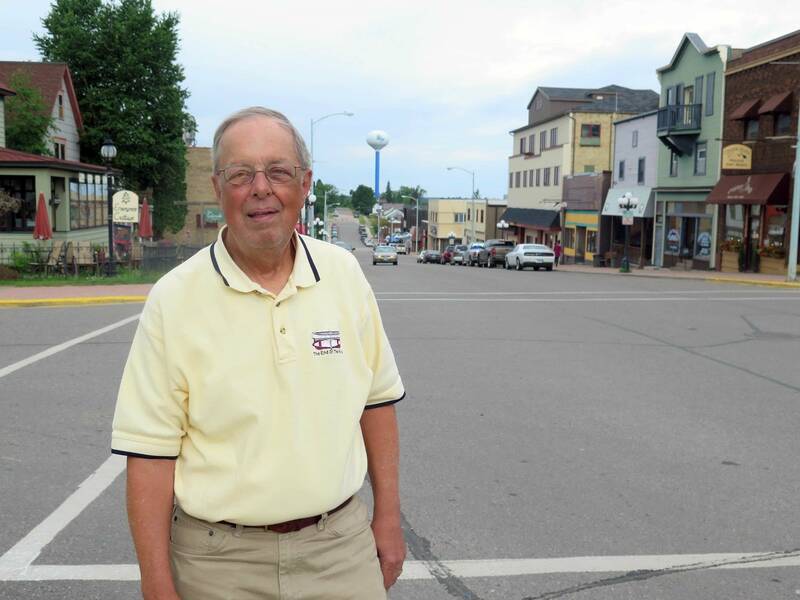 While the mining divide won't close any time soon, Ely Mayor Chuck Novak said his agenda is to continue to inch the city forward and not be dependent on a copper-nickel mine as a potential saving grace sometime in the future. Novak is a vocal mining supporter, but only if it's proven it can be done safely. He noted that any potential mine is at least a decade away. "We can't wait that long," he added. "It's like buying a lottery ticket for 10 years out, and you may not even be here."